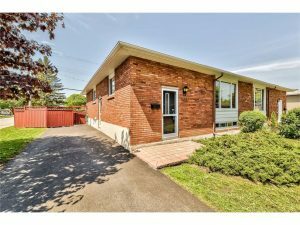 Lovely well maintained 3 bdr semi-detached bungalow on quiet street in family friendly neighbourhood. Steps to La Cité College, Montford Hosp, St Laurent Shopping Centre, restaurants, parks, schools, bike trails and soon the LRT that will bring you downtown in minutes. Spacious and sunny living/dining room with large picture window. Bright and functional kitchen includes eating area and convenient side door entry with stairs to lower level. 3 good sized bedrooms and renovated bathroom are in a separate wing from main living areas. Hardwood floors throughout! Lower level with versatile family room, office/den, spacious workshop and utility rooms with plenty of storage and 3-piece bathroom. Large fenced backyard. Updates include HE furnace (2015), roof (2012), eaves (2010), driveway paving (2015), bathroom (2012), and windows throughout the years. Great investor opportunity for a basement suite with side entrance, good height, windows & proximity to La Cité! The Real Estate Council of Ontario (RECO) restricts the advertising of “SOLD” properties. In compliance with our regulatory authority, I remove “SOLD” properties from my website once the sale is complete. 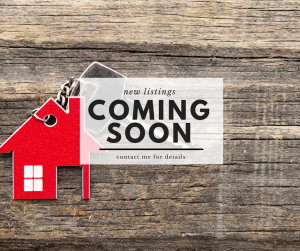 If you would like more information on homes that I have sold, or to find out what has sold in your area please contact me.